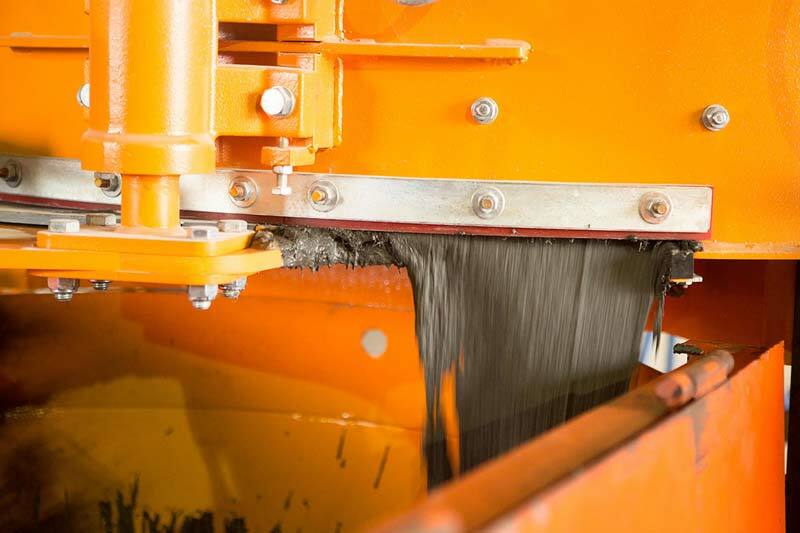 Ultra-high performance concrete – also called UHPC – is made up of a special cementitious binder, fine sand and fibres. It is characterized by high compressive, flexural and traction strength, as well as excellent durability. Our company has developed its own line of Ultra HPC. The Ultra HPC binder is custommade at our Port de Quebec plant. This allows us to ensure a more homogeneous product. The final mixture is made with our 500-litre mixer. This concrete is so high-performing that it can also be used for smaller pieces such as park benches, or other similar precast pieces. resistant to impacts, abrasion, freeze-thaw cycles, etc. 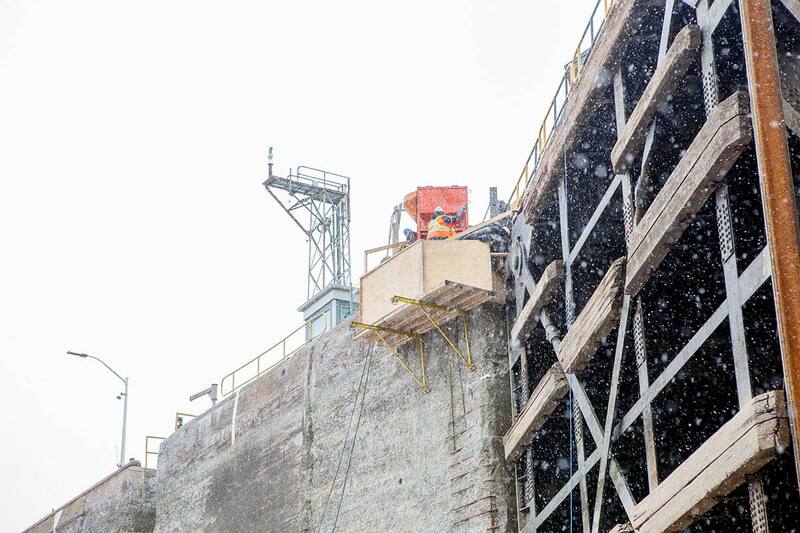 Ultra HPC, Béton Provincial’s ultra-high performance concrete was put to the test by the St. Lawrence Seaway Management Corporation for structural reinforcement purposes. Along the river’s seaway, boats frequently collide with the corners of the lock gates. 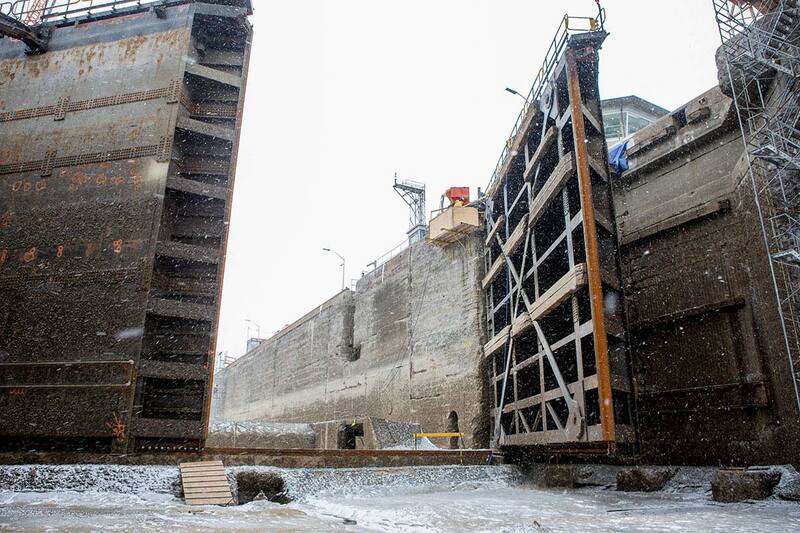 Due to its high flexural and traction strength, this concrete can stand up to impact from the cargo ships. 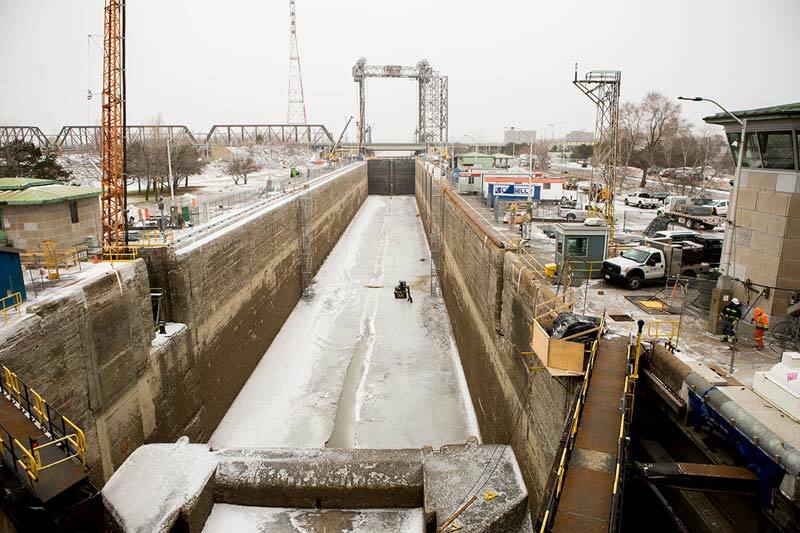 Béton Provincial created a specially designed formula for this pilot project to reinforce the four corners of the gates in the Saint-Lambert locks, opposite the Island of Montreal.